IFA 2014 is just around the corner and therefore, brands are upping the ante for the products they are going to launch at the event. 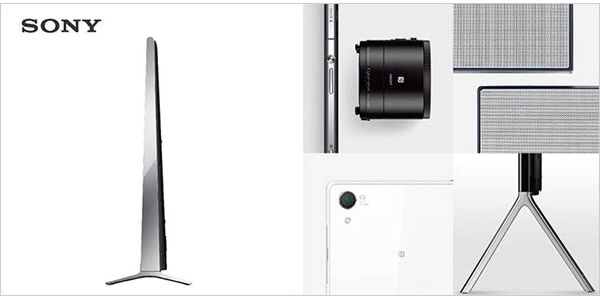 Sony it seems might have some cool devices to announce besides the Sony Xperia Z3 – we might get to see a Sony Xperia Z3 Tablet along with Z2 compact soon. As for the Z3, leaked specs include a 5.2-inch display and 20.7-megapixel camera. It will be supported by a slew of waterproof apps from Sony. But the most interesting announcement from Sony definitely seems the Sony Xperia Z3 Compact tab, which might be an 8-inch iPad Mini rival, with a Triluminous display supported by X-reality technology, along with a Qualcomm Snapdragon 801 processor and 3 GB RAM. It is also expected to have an 8-megapixel rear snapper with a Sony Exmor RS sensor. A smaller phone also seems in the reckoning, which might be the Sony Xperia Z2 Tab, that leaked some months ago. There seems to be no buzz currently about Sony’s Smartwatch 3, but we will keep you posted.